When it comes to the holidays, we all tend to go a little overboard with the decorations – especially if it involves competing in a neighborhood light or decoration contest. We won’t stop you from decorating every inch of your home with festive lights – but you should heed our advice to prepare for potential electrical surges and subsequent outages before trying to decorate like Clark Griswold. Having a single surge protector inside your home might provide you with comfort, but real security can only be achieved by getting your entire home protected from power surges. (And no, this doesn’t mean piggybacking surge protectors on top of one another – please don’t ever do that). If you’re uncertain on how to protect your home, the Colvin Electric team provides whole house surge protection. Additionally, our team only uses top of the line, high-quality surge protection designed to redirect harmful surges to ground in less than a nanosecond. 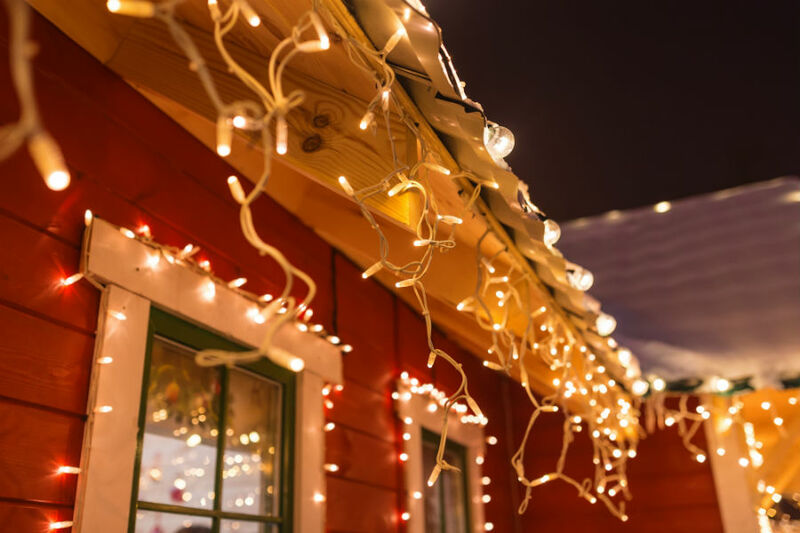 If you’re planning to go above and beyond in the holiday lights department, you may want to consider having new electrical circuits installed. Why is this necessary? Powering multiple strings of lights could lead to short circuits, injuries or potentially dangerous consequences, such as electrical fires. Make an effort to understand your home’s current circuitry and its capability. By doing this, you can avoid potentially overloading your home’s circuits. Want someone else to take care of this for you? Our team can help you get the power you need for your home through circuit installation and upgrades. In those times when you suddenly lose power without warning and without just cause, you don’t want to spend time fumbling through your phone to find a reliable electrician to diagnose your problem. Skip the search and call Colvin Electric to get a licensed, thoroughly vetted Service Technician with over a decade of experience to your home. Additionally, when you call us, you won’t have to play a guessing game with the price. At Colvin, we’re an upfront pricing company, meaning the price our service technician presents is what you’ll pay. There are no hidden charges simply because something took longer than expected to resolve. No matter what plans you have this holiday season, don’t let your home go dark. Ensure your home is properly protected by letting the Colvin team meet all your residential electrical service needs.